A telephonic survey of seven hundred Albertans including three hundred users of the payday loans and four hundred non pay day loan users aged 18 years and above.Results for payday loan users are statistically precise within +5.7 percentage points, nineteen times out of twenty. Results for the non-users payday loans are statistically exact to +4.9 percentage points, in 19 out of 20 cases. The study used 4 focus groups out of which 3 were payday day loan users in Calgary, Edmonton and other areas of Alberta and the fourth one was carried in Edmonton- all through telephonic conference. People using payday loan in Alberta in the past were having low household incomes than the rest of the population. Particularly, the survey listed that 37% of the payday loan users have their yearly income ranging from $20000 to $49999 versus 23% for the other part of the population. The users of payday loan that participated in the survey also showed a higher likelihood of being in the age group of 25-35 (35% vs. 18% of the Alberta general population)years and a lower likelihood of being less than 25 years i.e. (6% versus years 14%) or 65 years of age and above (5% versus. 14%). According to their ages, 46% of payday users reported having children under the age of 18 years in their house, versus 39 percent in the general population. The people using payday loans in Alberta are estimated to be between 3-6% as per the 2 different surveys conducted by Leger marketing. Large majority of non users of payday loan is around 93%. Looking at this view, not many Albertans need payday loans. So in case they are in need of urgent cash of $300, they will mostly likely have access to their bank accounts for funds, overdraft protection, lines of credit, relatives and other cash advances. Non users of payday loans are confident than the payday loan users because they can acquire the funds required through their bank account or using a line of credit. The study also found out that the non users of payday loans think of payday loan as a medium of instant finance for poor financial managers and payday loan users admit their poor budgeting skills and financial challenges. The focus group also identified that payday loans are utilized in various situations like immediate cash requirements, unanticipated life events and even for convenience the users of payday loans in the focus group complain about other debts in addition to payday loan. They also reveal that using payday loan is a kind of last resort for such people although many a times they use payday loans as an alternative financing option available. 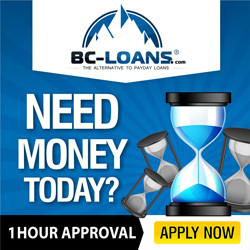 Sometimes people take payday loans to avoid embarrassment of having to ask money from relatives or friends or when they don’t have any other line of credit available. The result of the survey also demonstrated that people who have taken a payday loan before(about 4 times) in their life tend to take it again(about 79%) or get it renewed. 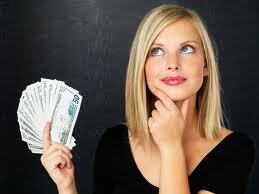 However, only 22 percent people foresee taking payday loans again in future. Users identify that they will payback their loans as quickly as possible before its due date (about 80%) and only utilize payday loans as a final resort (62%). Some payday loan users perceive themselves as using payday loans at particular times of the year (about 20%) and around 10% of them use payday loans as fraction of regular banking. There is an extent of disgrace linked with payday loans, with 25 percent of payday users approving that they would be worried about being spotted at a payday loan store. Payday loans frequently engage getting a loan for $200 to $499 (latest estimated loan value of 52 % of payday users), and the sum is almost constantly under $1,000 (about 88%). Looking at the above study, it can be easily estimated that payday loan users in Alberta are only 6% maximum. But even such a minor amount of population is helping the payday loan industry to grow. Every year thousands of people fall into the vicious trap of payday loans. These people find it hard to repay their original loan amount and end up taking more payday loan to repay the previous one. They pay penalties and extra fees but are unable to escape the vicious cycle. the government has thus conducted this study to understand who all are interested in taking payday loans and how many of them fail to repay their loans. Looking at this number and calculating the amount of people who can actually repay their loans, the government has calculated maximum rate of borrowing for Alberta as 23%. So if a lender asks for any extra charge or applies additional hidden fees while sighing an agreement with the borrower then the government not only take an action against the company or lender but the customer is returned the entire amount that was charged additionally. Thus for a regular user of payday loans in Alberta, one must know various rights and laws enacted by the government to protect the consumers.